Eh, What? You know how two days ago we told you about THQ canceling Destroy All Humans on the PS3? Due to 'development issues'? Yeah, well, that might not exactly be the case. 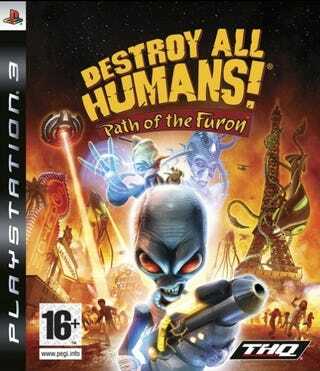 THQ Struggling With PS3 Development, Cancels Destroy All Humans! Speaking to Eurogamer, a THQ spokesperson said that the latest DAH game would only be an Xbox exclusive in North America - due to the company being unable to finish the PS3 version by the games early release date in that territory. "Destroy all Humans: Path of the Furon will be released on both the Xbox 360 and PlayStation 3 formats on February 13th 2009 across Europe," said the THQ person.